Inspired by the university teaching hospital model, the NC State Entrepreneurship Clinic integrates research, teaching and real world experience by providing a place where faculty, students, entrepreneurs and service providers go to teach, learn and build the next generation of businesses in Raleigh. 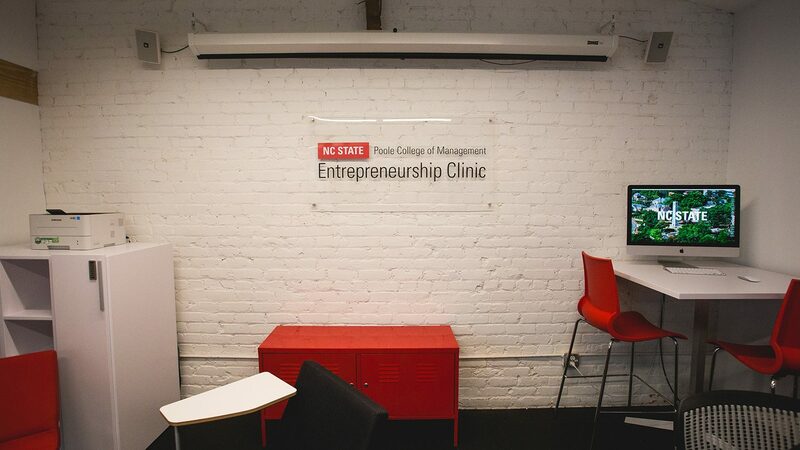 Housed in HQ Raleigh, one of the Triangle’s largest co-working hubs, the Entrepreneurship Clinic immerses students in an entrepreneurial ecosystem. Much like a medical student observing and learning from a surgeon in an operating room, clinicians observe and learn from startup founders. The Clinic’s mission is to produce the highest quality, entrepreneurially-minded students with the skills to make a big impact. The NC State Entrepreneurship Clinic was awarded the Outstanding Emerging Entrepreneurship Program at the 2017 USASBE conference. 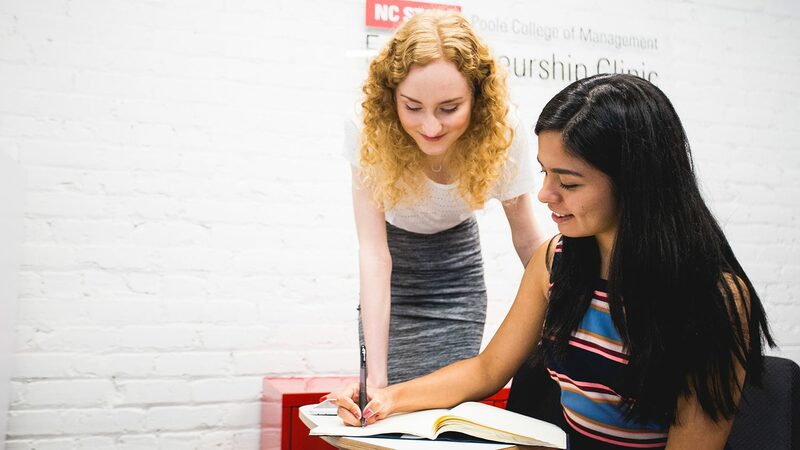 The Entrepreneurship Clinic is made up of students taking the course for credit and volunteer hours spanning across NC State’s campus – from Poole College of Management, College of Textiles, College of Engineering, College of Design and the Jenkins MBA Program. Students graduating with experience in the NC State Entrepreneurship Clinic will leave with an expansive network, hands-on experience and skill development, and better concepts – ultimately making them better entrepreneurs, team-members on startups, or employees for entrepreneurial-minded companies. Partner companies, from early stage startups to scaling businesses, apply to the Clinic with specific business issues and needs. 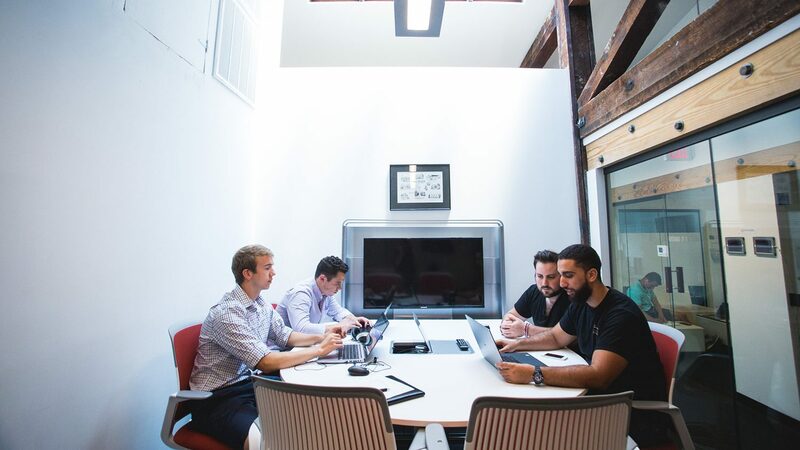 Student teams meet with company applicants, evaluate their weaknesses, and develop and execute a strategic action plan to help them solve a specific business need.